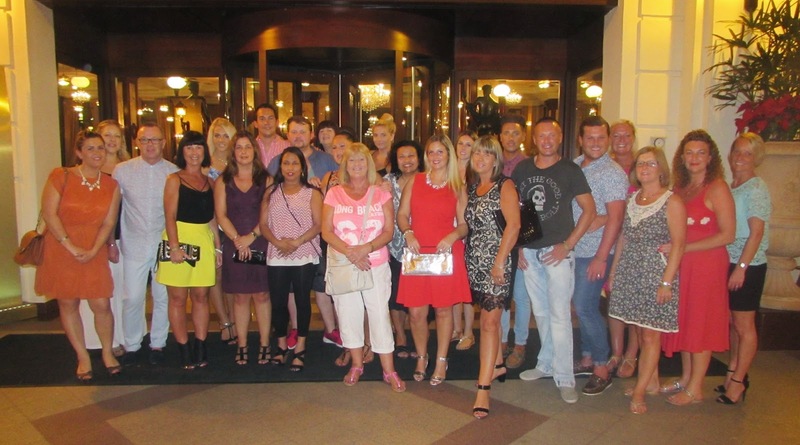 The tour operator collaborated with local resorts to bring 26 sales agents to the destination to bolster the Manchester and London flights via Thomson Airways. Tour operator TUI has been busy in the promotions department since the inauguration of the London and Manchester direct flights to the Vallarta-Nayarit International Airport. Their most recent undertaking was a FAM trip for 26 of their sales agents to the destination. The agents, who work in different branches of the company, toured the Riviera Nayarit and Puerto Vallarta as a training exercise in order to increase sales to the region, thus bolstering the direct flights that began in May via Thomson Airways. The agents enjoyed the area’s iconic synergy of luxury and nature during their stay, which extended from December 6th through the 11th. The Riviera Nayarit Convention and Visitors Bureau (CVB) was invited by the organizers to hold a presentation for the sales agents in order to share in a direct and simple manner the many reasons why British tourism would enjoy the region. A highlight of the presentation was bird watching, a favorite pastime of the English and one of the Riviera Nayarit’s top attractions thanks to its many endemic species and flocks of migratory birds that come to winter in its forests. According to TUI, the objective of this trip was to expand the knowledge and consciousness of the products and brands so that this firsthand experience of the destinations would generate more confidence from clients during the sales process, as well as allowing the salespeople the opportunity to share the new information with their colleagues who were unable to attend. It’s important to note that the flights from England to the destinations have been very popular with the British public and areas adjacent to the United Kingdom.